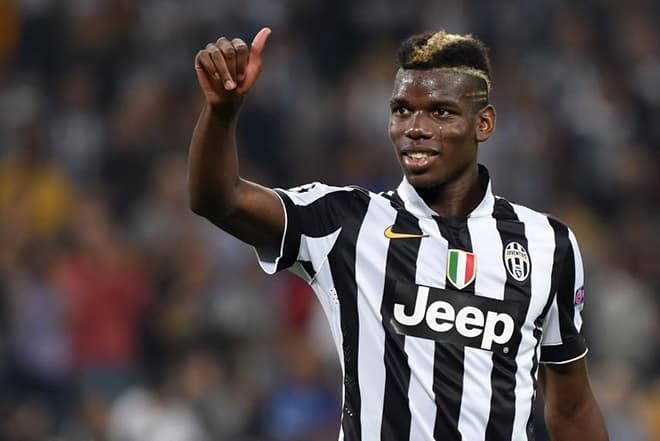 Paul Pogba is a world famous football player playing in the position of midfielder. His transfer to Manchester United F.C. in 2016 became the most expensive in the history of football, he even bypassed Gareth Bale and Cristiano Ronaldo in this rating. This record hadn’t lasted for long, in 2017 it was beaten by Neymar. According to the latest information, the highly paid gurus of football - Pogba, and Neymar can become members of one team at the soonest time. Paul Labile Pogba was born in the Parisian commune of Lagny-sur-Marne on the 15th of March, 1993. His parents, a Guinean and a Congolese emigrated from Guinea to France in 1991. Paul is the youngest of three sons, his senior brothers are twins - Florentin and Mathias. The boys were fond of football together, and their parents sent their children to the juvenile academy of football. The father of the sons Fassou Antoine was especially delighted as he himself dreamed to become a professional football player, but his parents insisted on the classical studies and work. The man helped his sons to train, supported and prepared them morally, brought videos of the games of the famous sportsmen home. The father repeatedly told his sons that football wasn’t a game for them, but the future. Paul turned out to be more talented than his brothers, he was noticed almost at once: already at preschool age the boy successfully scored goals, winning his senior rivals. When Pogba turned six years old he became a part of the US Roissy-en-Bri children team and in 2006 he transferred to Torcy. Here he had played only for a year, but during this time he had proved himself as a technical and hardworking midfielder. The scouts of more eminent Le Havre team offered the young man to join their team. As a part of Le Havre, F.C. Paul won silver medals in the France Football Youth Championship football. But Paul, of course, dreamed to become a member of the club with a world famous name. 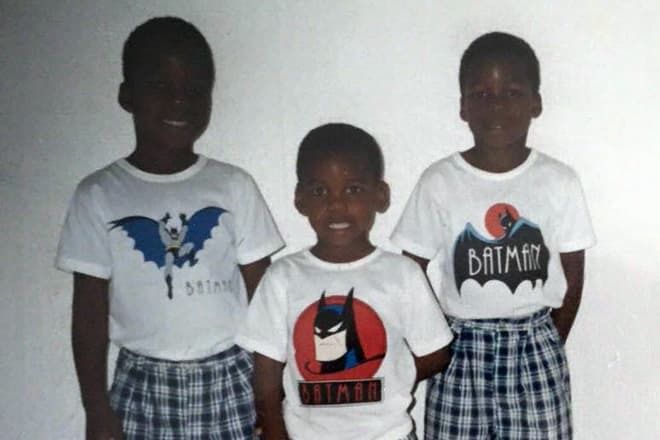 At that period of time, the young man admired the Manchester United team, but he even didn't guess that in a couple of years he would try on a bright red T-shirt. The professional sports biography of Paul Pogba began in 2009. Pogba left Le Havre F.C. with a scandal and at first, he joined the juvenile team of Manchester United, and a bit later he became a member of the second team. The sportsman had difficult relations with the head coach Alex Ferguson. The young man considered that the mentor refused to notice his talent. Though it was simple to distinguish Pogba in the field, considering his height of 191 cm. Mother of the young man told that the son often came from the training in tears. Paul Pogba as a part of Juventus F.C. However, in September 2011 the football appeared on the field in the primary team at the match of the English Football League against Leeds United. On the 3rd of July, 2012 the chief mentor of Manchester United announced that Paul had refused to sign the new contract with the football club. Exactly in a month, Pogba concluded the four-year agreement with Juventus F.C., becoming the player of this eminent team. Already in the first match for the club, the young football player impressed the trainer and the fans. The chief mentor Antonio Conte trusted the player and regularly let him play on the field. In a year Paul Pogba was recognized as the best young football player of Europe. Paul was regularly invited at first to France national under-21 football team, and then became the member of the primary national team. Upon the termination of the contract, it became known that Paul Pogba would continue his career in Manchester F.C. already familiar to him. On the 9th of August, 2016 the midfielder signed the five-year contract with Manchester United F.C., the sum of the transfer was a record one at that time, it reached €105 million. The agent of Paul - Mino Raiola who, according to the observers, had played the key role in this transfer received about a quarter of this sum. 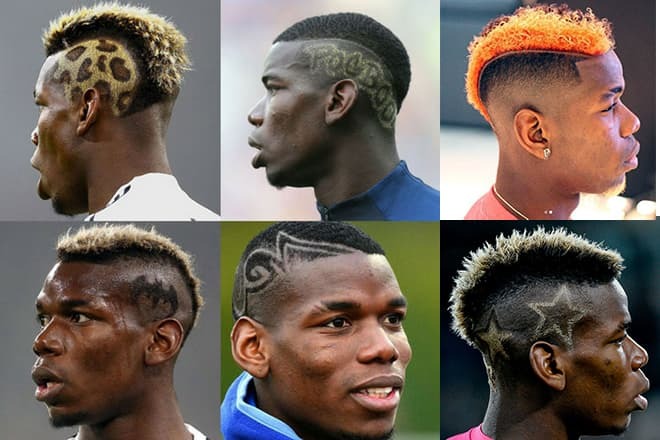 Paul Pogba in Manchester United F.C. For the beginning of the season, the statistics of the club career of Paul showed the following results: he had played 265 games, had scored 48 goals. The sportsman had played 51 matches for the French national team and scored 9 goals. According to the " Daily Mail", for December 2017 Paul Pogba is the highest paid player of the British Premier League. The salary of the midfielder of Manchester F.C. amounts at 290 thousand pounds a week. In a month the " Goal edition" reported that the black Frenchman demanded to increase his payment to the level of the forward Alexis Sánchez, whose salary is about €400 thousand weekly according to the informal data. The talented midfielder repeatedly told that his way to the world of sport wasn't simple. Paul spent so much time playing football that he hadn’t time for girls. It’s possible that because of this fact there was no information about his private life before the transition of the football player to Manchester United F.C. However, hardly Paul had managed to settle in his team in 2016 as there began to appear rumors about his personal life. According to the " Sportfm.ru" portal, a Nigerian-Cameroonian hip-hop star Densia was living during a week in Lowry Hotel together with the football player. The visitors of the hotel complained of the loud laughter and music from their apartment in the afternoon and sighs at night. The press service of Manchester United F.C. hadn't confirmed this information. 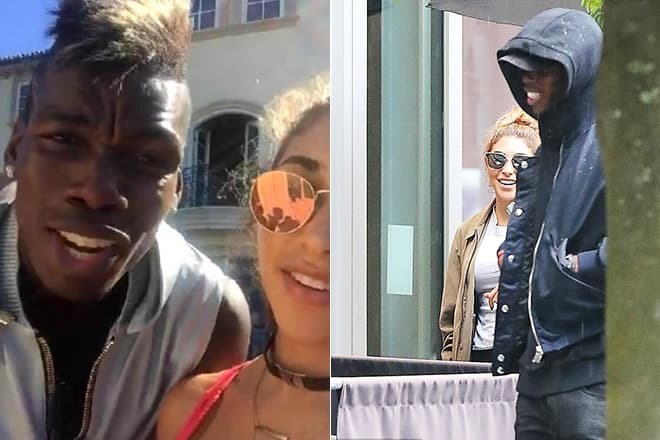 At the beginning of 2017 there appeared joint shots of Paul Pogba and Chantel Jeffries – the actress and the former beloved of Justin Bieber. On the photos the young people celebrated together the victory of Paul’s team of Paul in UEFA Europe League. However, after these pictures there were no other confirmations that the young people had relations. If to talk about some personal photos, Paul posts only pictures of his mother, father and brothers on his page on Instagram. By the way, Mathias and Florentin became football players too, but less eminent, than their younger brother. Paul is known for his creative hairstyles: the black short curly hair, standard for his nationality, can be seen on his photos taken in distant 2012. The more popular the football player becomes, the more unusual his appearance becomes. Everything began with the careful strips shaved on each side, then he had a mohawk which was repeatedly dyed in light colors. The golden star and a leopard ornament were the most extraordinary ornaments on his hair. 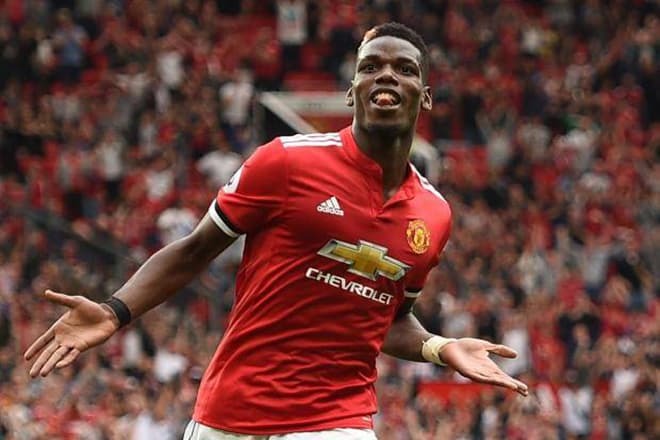 In April 2018 "Paris United" reported that Paul Pogba would like to transfer to Paris Saint-Germain F.C. In several days "Daily Mail" published information that the head coach of Manchester United was ready to say goodbye to the midfielder because of the lack of mutual understanding. According to the information of "Sport.es", "red devils" agreed to let the Frenchman go for €100 million. The information on the possible transfer is expected by the beginning of summer. According to "The Sun", the midfielder of Manchester United has a relationship with the unknown girl. Paul got acquainted with an attractive blonde at the end of 2017 in the USA where he underwent rehabilitation after a sinew injury. 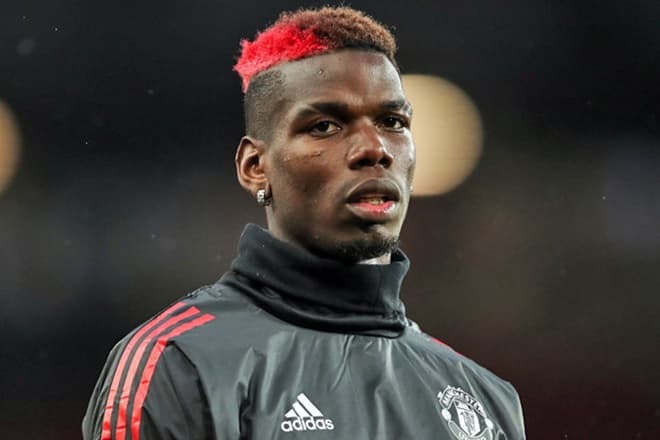 The source also reported that Pogba managed to make a visit and get acquainted with her parents – this underlines the serious intentions of the football player.